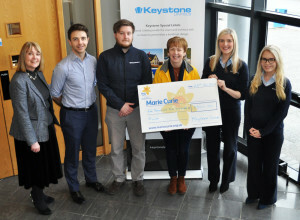 The Keystone Group was delighted to present Sandra Spence, Community Fundraiser at the Marie Curie Charity with a cheque for £5,500 following a series of fundraising events held throughout 2018. At the start of the year, employees at Keystone Cookstown were asked to vote for which charity they would like to see become the group’s official charity partner for 2018. Marie Curie was the worthy winner with various fundraising activities held throughout the year. Marie Curie provide a range of support services to people living with a terminal illness and their families including information and advice, nurses providing hands on care at home and hospice care. Each year Marie Curie provide care and support for around 4,000 people living with a terminal illness, their carers and loved ones in Northern Ireland. 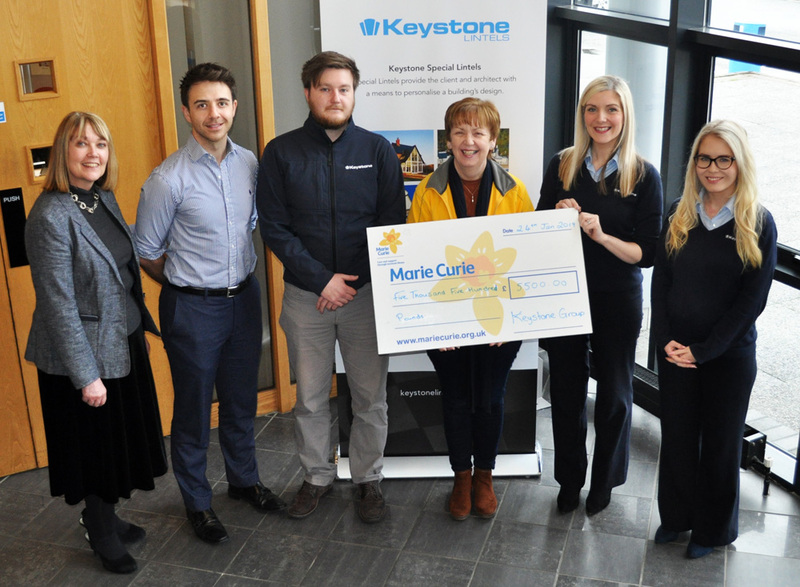 As part of the Keystone Group’s Keyfit initiative to help their employees look after their health and wellbeing, the Cookstown team climbed Slieve Donard, the highest peak in Northern Ireland while also raising funds for Marie Curie. 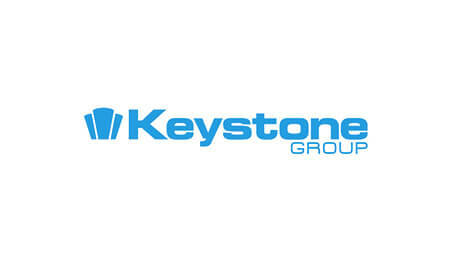 Other fundraising events included a prize raffle at the Keystone Group’s annual staff appreciation barbeque and an office ‘Come Dine with Me’ event. This week long event saw Keystone employees put their culinary skills to the test with new dishes to try every day as people made donations to vote for the best dish.